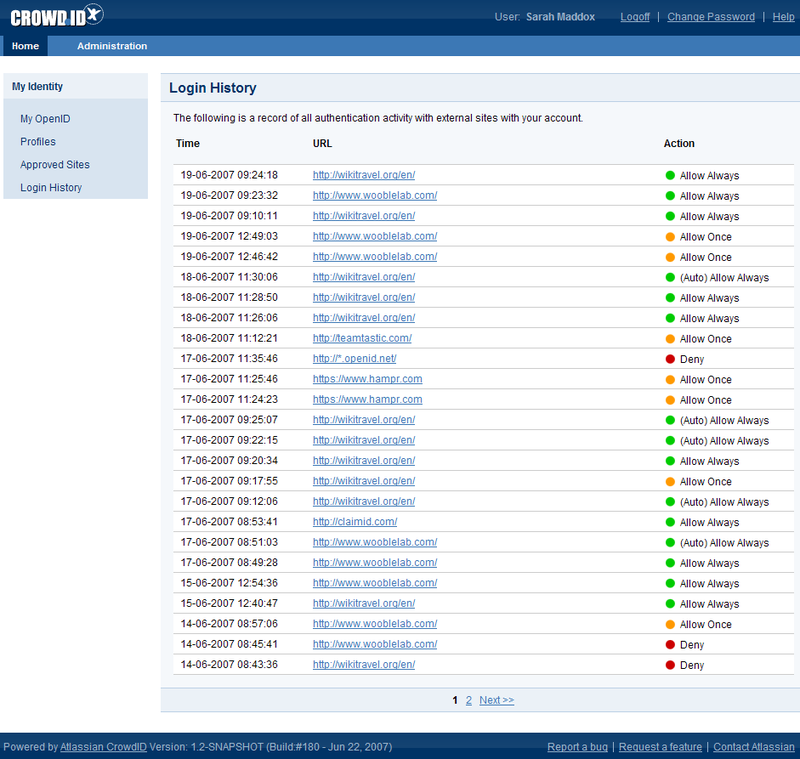 'Allow Always' - At the time of this login, you instructed CrowdID to allow login to the site every time you use your OpenID. '(Auto) Allow Always' - This login was allowed automatically, because you have previously instructed CrowdID to allow login to the site every time you use your OpenID. 'Allow Once' - You instructed CrowdID to allow login to the site at that time only. 'Deny' - You instructed CrowdID to refuse the login to the site at that time. Click 'Login History' in the left-hand navigation panel. If you have used your OpenID many times, the login history items will be shown on more than one page. To move from one page to another, click the page numbers or the 'Next' and 'Prev' links at the bottom of the page.